• Don’t put more stress into your week – According to the American Psychological Association, 44% of Americans report feeling an increase in stress levels compared to just 5 years ago. 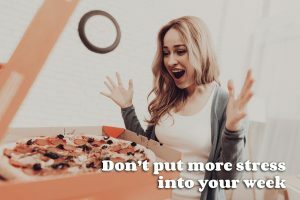 Today’s busy lives are stressful, that’s no secret, and having a great lunch or dinner shouldn’t be just another thing taking away from tackling your day. Ordering gluten free pizza delivery in Bloomington from Bucceto’s takes care of dinner, and brings it right to your door! • Get something everyone will love – Pizza is the single most popular comfort food in the United States, and when you’re talking great pizza, those who’ll turn it down are few and far between. Rather than juggling dinner ideas with the family to try to appease everyone, gluten free pizza delivered right to you makes sure everyone will be happy and satisfied. • Warm up on a cold day or night – Winters in Bloomington are cold, with average lows ranging from the 20s to the 30s degrees Fahrenheit. A delicious hot pizza is the perfect way to warm up, as you heat yourself up from the inside out. • Try something new – So much of our day to day lives are taken over by the mundane. You eat the same things, you follow the same routine, and the days begin to blend together. Having a delicious gluten free pizza delivered gives you something new to try, splitting up the monotony and giving you a tasty way to branch out and enjoy a new experience! • Take the worry out of dinner time – While gluten intolerances are somewhat common and may cause disruptive symptoms, gluten allergies can be downright dangerous. Celiac disease affects more than 3 million diagnosed Americans, with others who may develop allergies later on or haven’t been officially diagnosed yet. 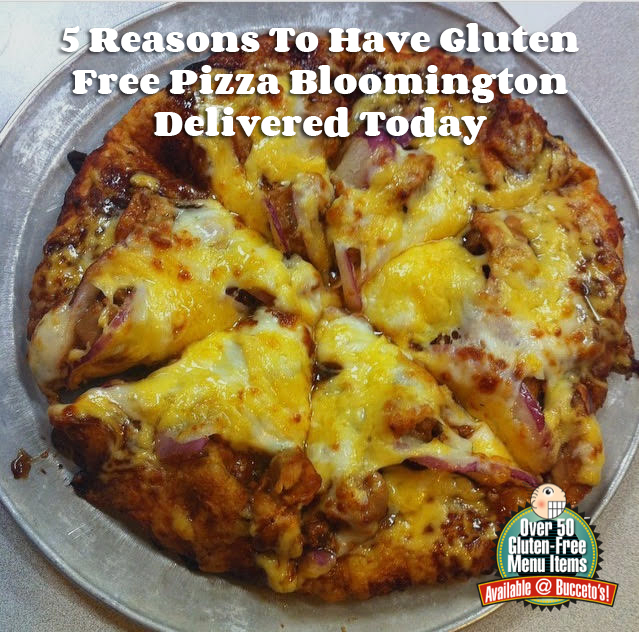 Gluten free pizza Bloomington delivery brings a meal to you that the entire family may enjoy without worry of gluten exposure.